This topic contains 36 replies, has 5 voices, and was last updated by Grifter 11 months, 3 weeks ago. I’ve met Uthoroc in person, he’s a good bloke! 🙂 Great to hear of EOG forum members meeting in the real world. Btw, we’re booth 6 I134 in Essen. So…after 8 houres into the con I finally managed to stopp by with Uthoroc. I can tell you that he has lots to do there! It was great meeting you, and you indeed hit a busy spell, sorry for that! At other times I would have had time for a longer chat. I hope you all had a good start into 2018. 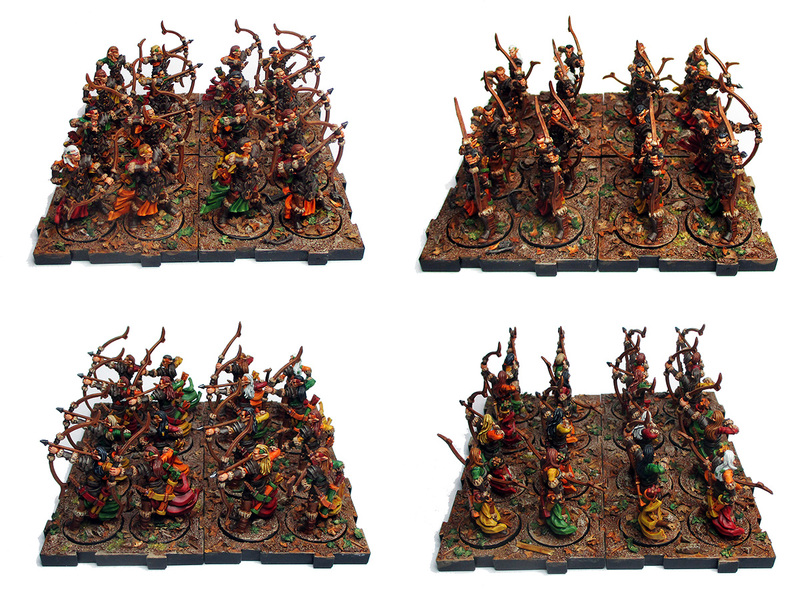 I’ve had the chance to do a little more painting again, and have finished the first unit from my Latari Elves army box, the Deepwood Archers. I’m quite happy with my “Indian Summer” theme. Edit: No. Oh well, I’ll just link to them instead.